Graphis, The International Journal of Visual Communication, was first published in 1944 by Dr. Walter Amstutz and Walter Herdeg in Zurich, Switzerland. Graphis presented the work of fine artists and illustrators, as well as highlighting the formative years of graphic design as we know it today. Advertising and photography were also featured, and Amstutz selectively chose what he felt to be the best talent of the time, with the Graphis Annual introduced in 1952. The deadline for the Design Annual 2015 is April 2, 2014, with entry information and a gallery of the current entries available on the Graphis site. Some of the winners from the 2014 Design competition are shown below. Fashion finds it difficult to get over Peter Saville. References abound to his work, past and present. His aesthetic stamp chimes constantly with fashion's offerings. That's because Saville isn't just fashionable. His work is a style unto itself. He's the original. In Factory cataloguing lingo, Saville would be FAC-0. 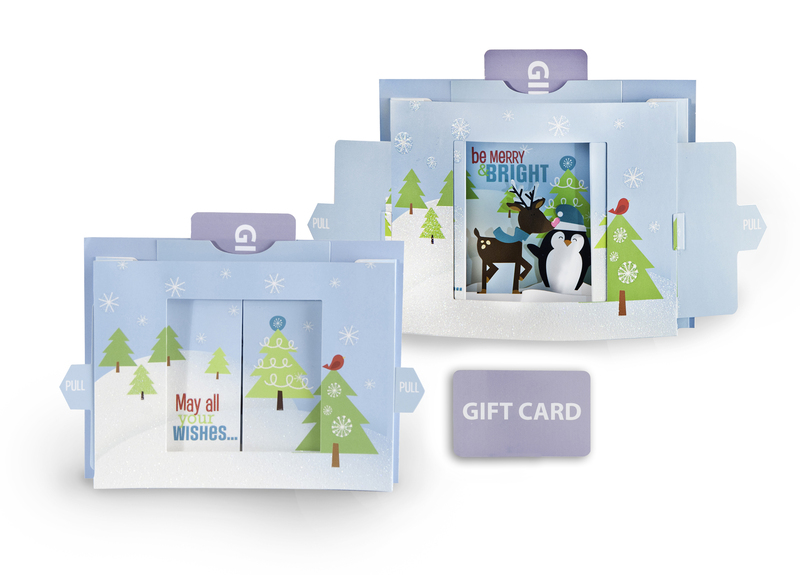 Gift Card Impressions, the leading provider of personalized solutions within the $110 billion gift card industry, received two Graphic Design USA Awards for Packaging. The company was recognized for its "Twas the Night" Scene Changer and Santa Character Presenter which were created exclusively for Target® for the 2013 Holiday season.